I'm trying to reverse a V850E binary (it was extracted from an official update), however, IDA doesn't recognize anything at all. In order to do that, I select a V850 or V850E1 processor type and leave disassembly memory organization as is by default. IDA gives a message "IDA can not identify the entry point automatically as there is no standard of binaries. Please move to what you think is an entry point..". I click OK and all I see is one unexplored piece. I came across several examples for V850 when there was no initial information on the entry point location as well, but IDA in their case was able to recognize pieces of code like this: I tried another binary for V850 from completely another firmware and I got the same result - nothing is identified! - I tried using another processor type in IDA (e.g. MetaPC) for the same binary and IDA was able to recognize a lot. - First 17FF lines of the binary are zeros. I don't know if it's a placeholder for the bootloader or something else and it imposes any problems on IDA. I have found this python script some time ago somewhere on the net. I will find all functions for you. Verify it! How do I find out entry point in mips or sh4 bin firmware? 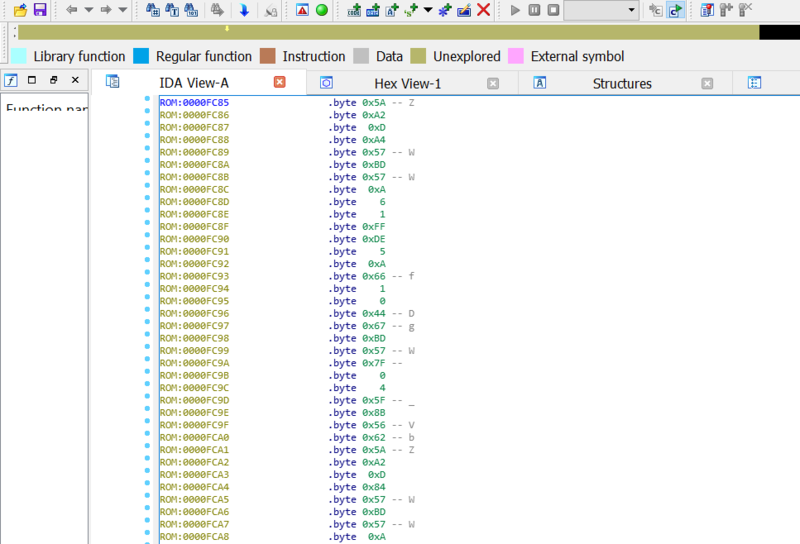 Why can't gdb find symbol which IDA can?